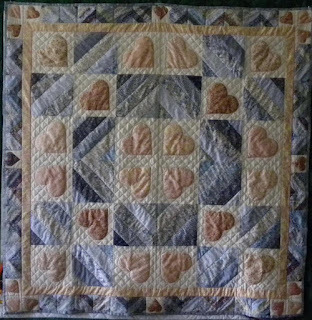 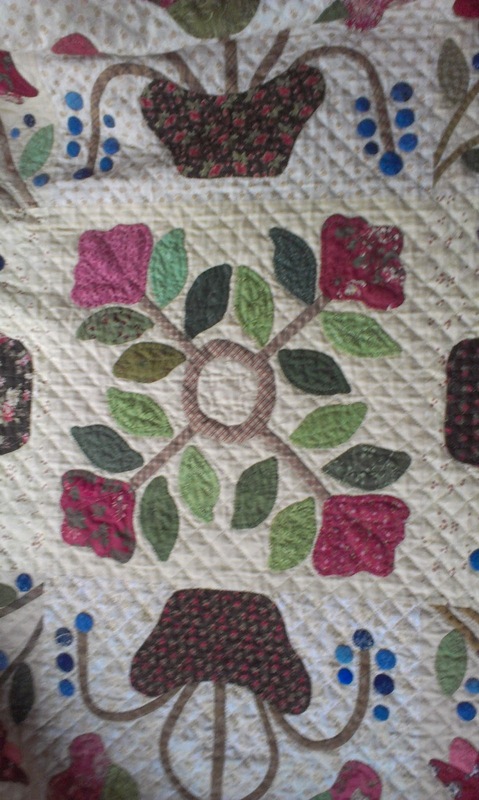 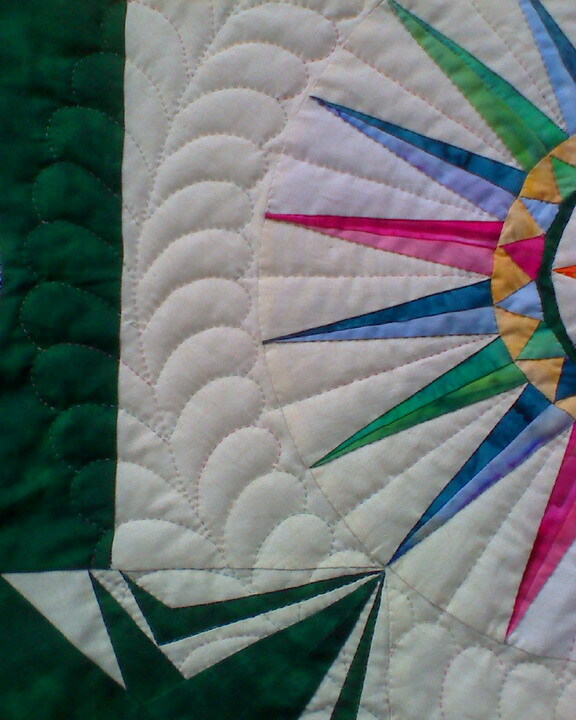 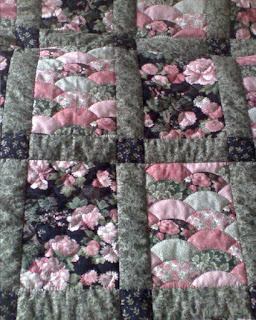 These quilts are not for sale, rather they are projects that I have completed for customers. 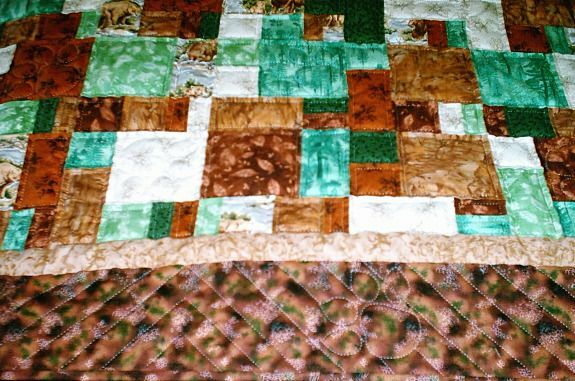 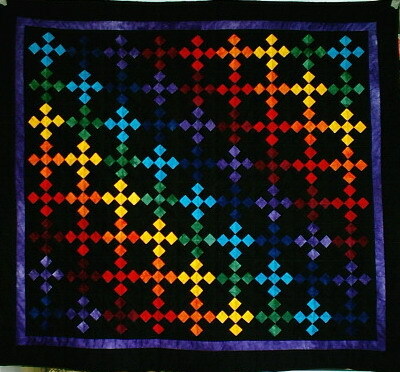 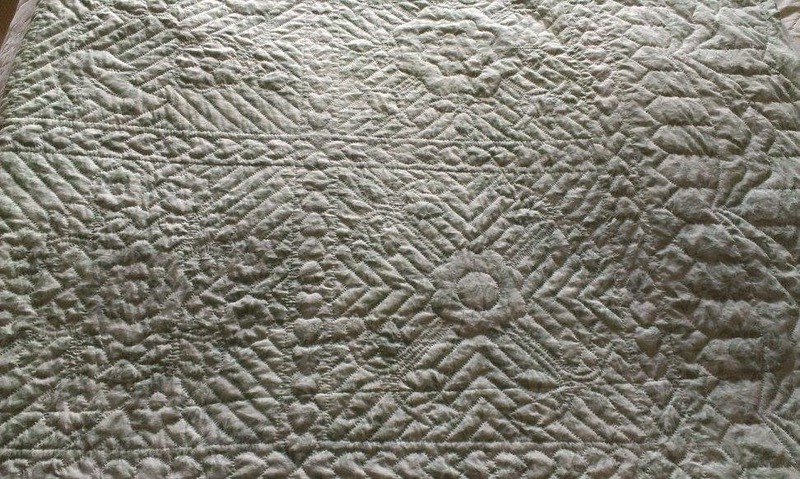 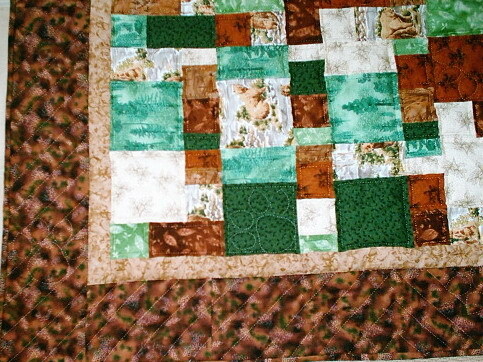 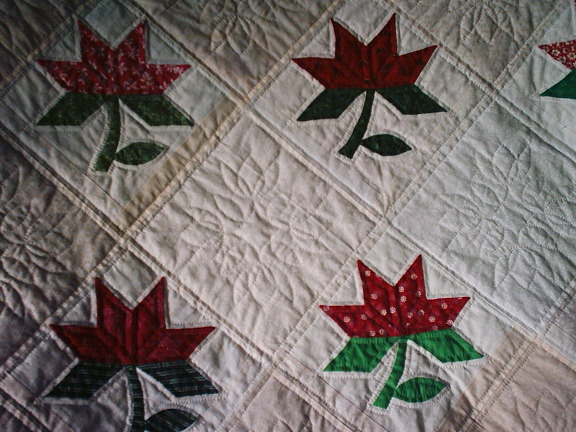 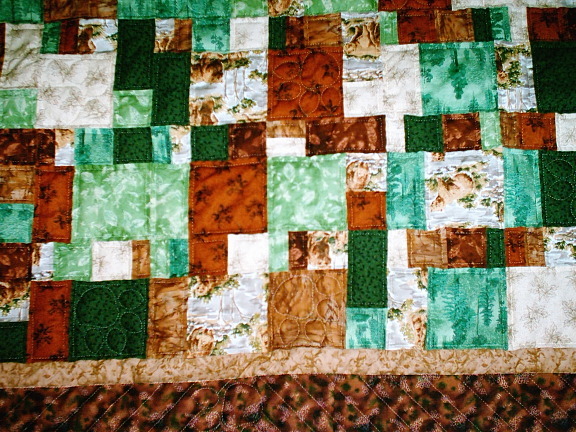 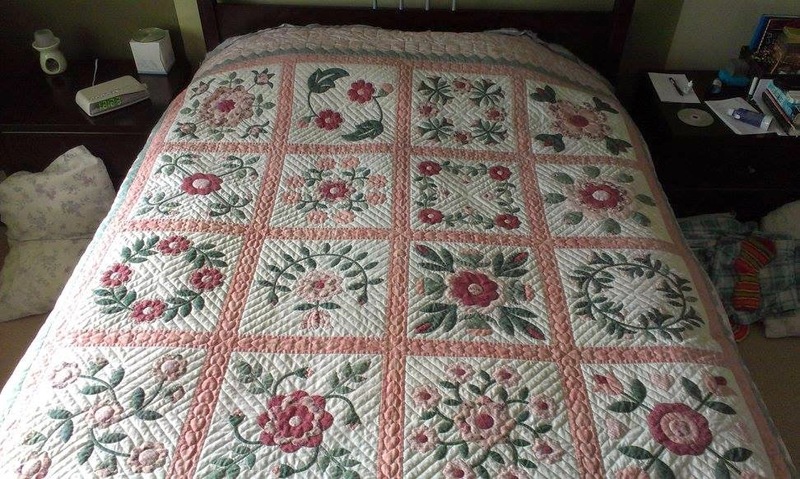 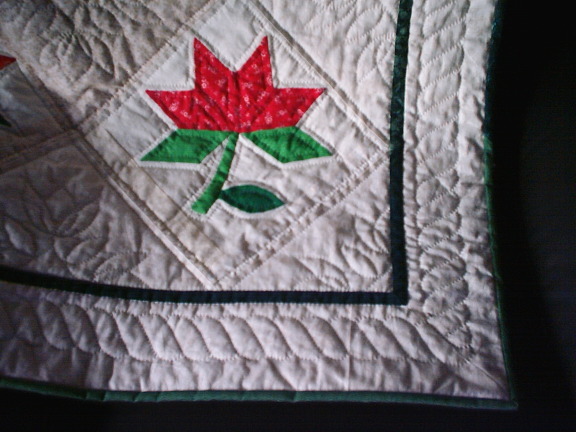 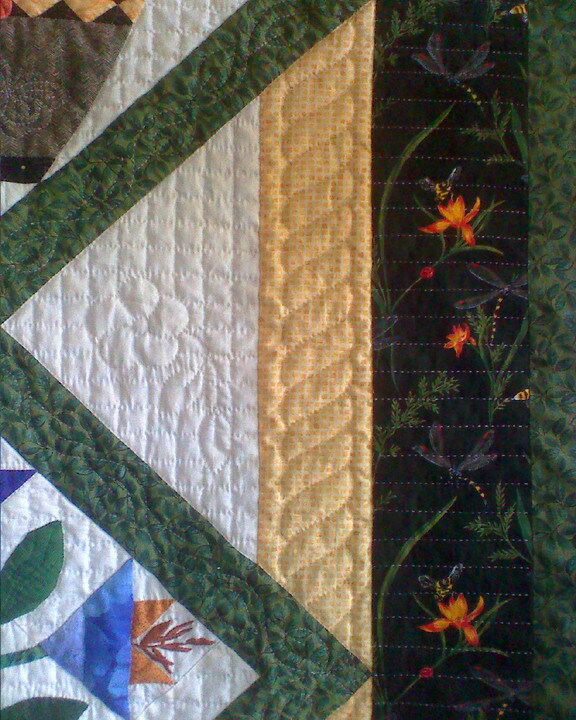 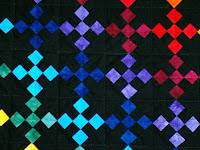 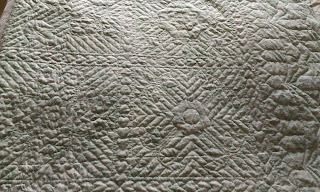 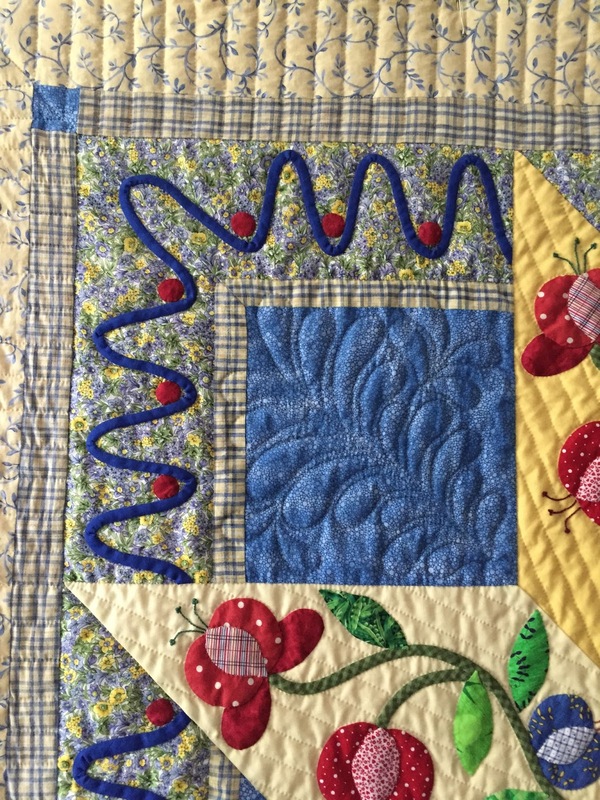 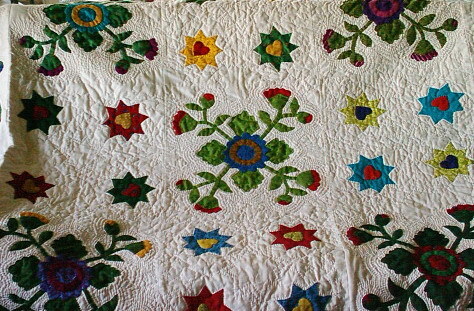 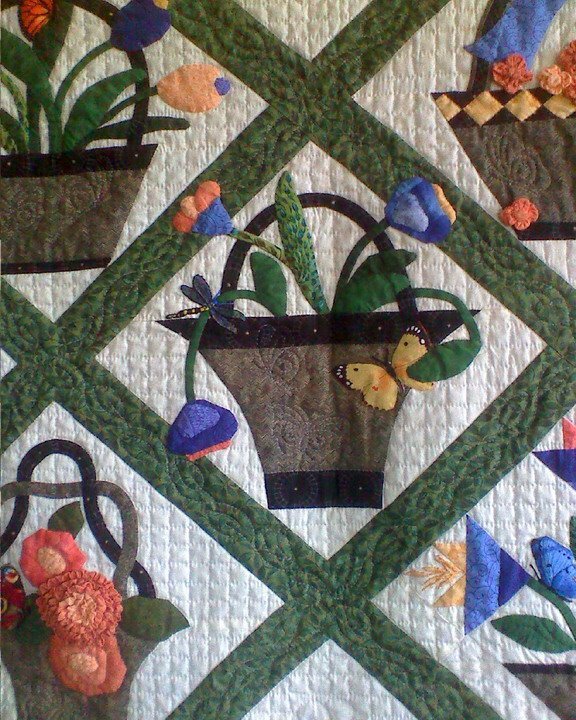 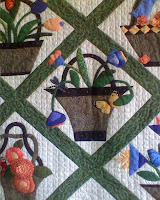 In most cases the customer has made the quilt top and hired me to do the quilting. A few were custom made start to finish at the client's request. 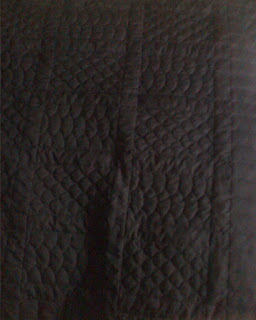 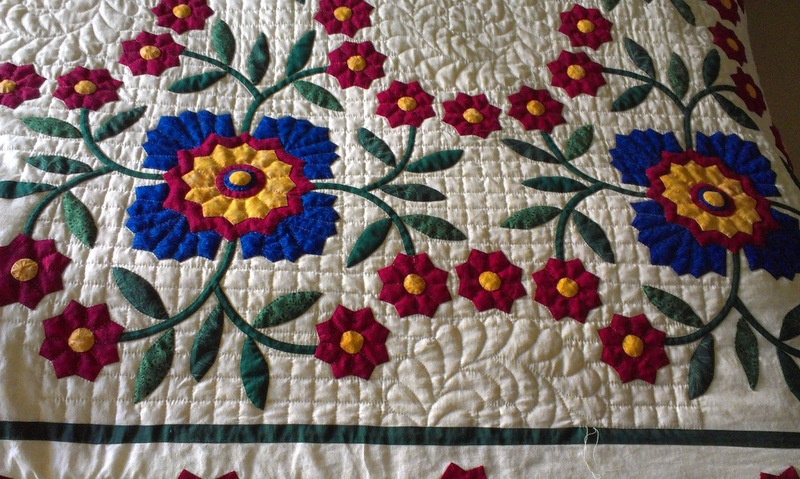 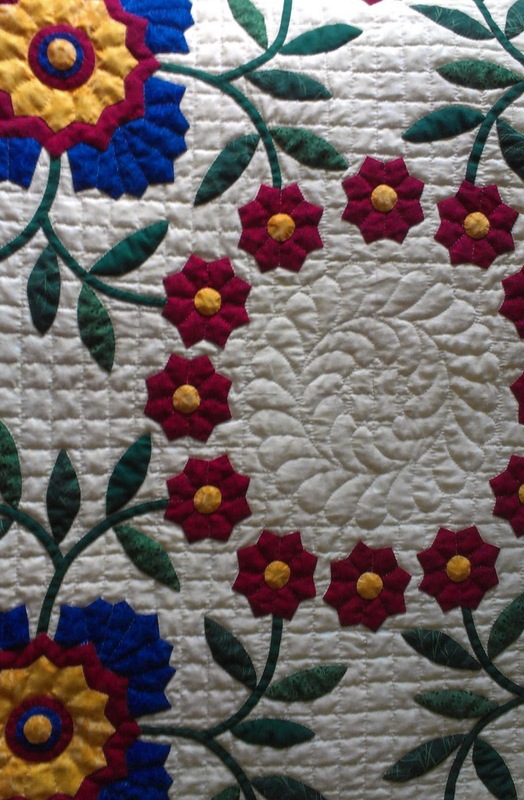 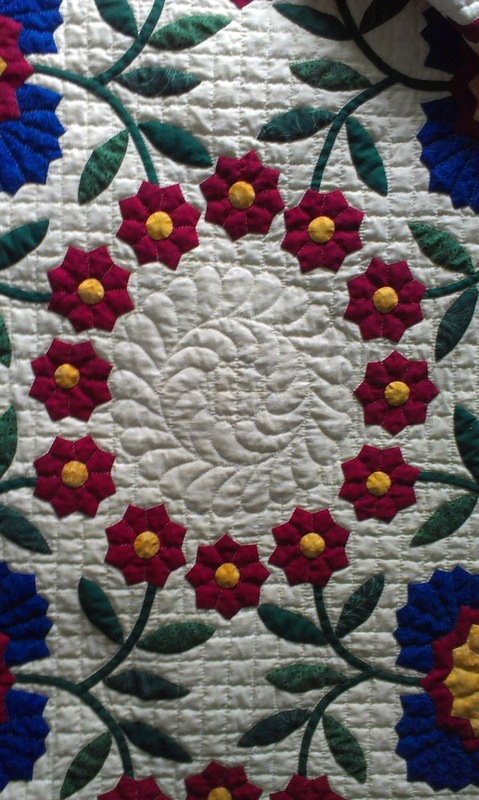 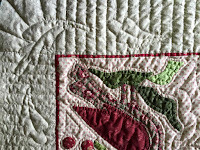 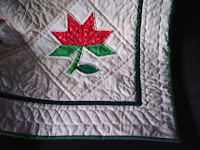 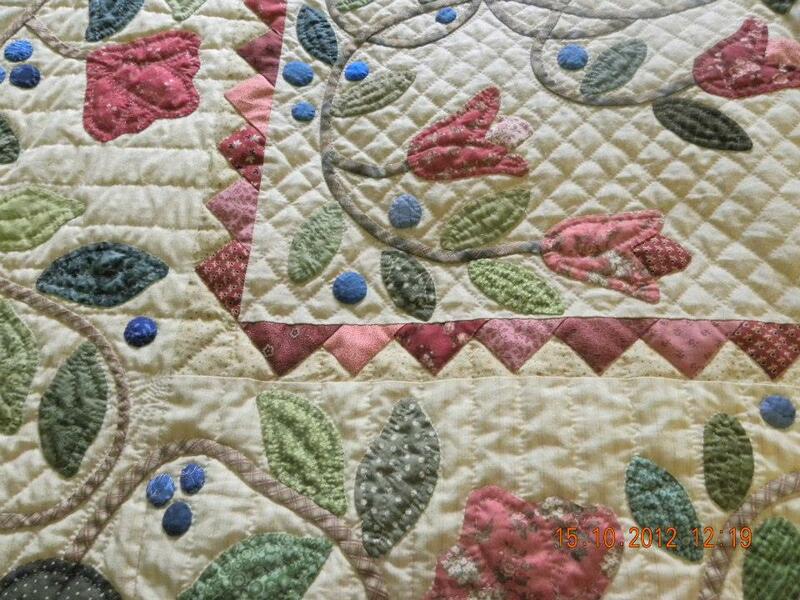 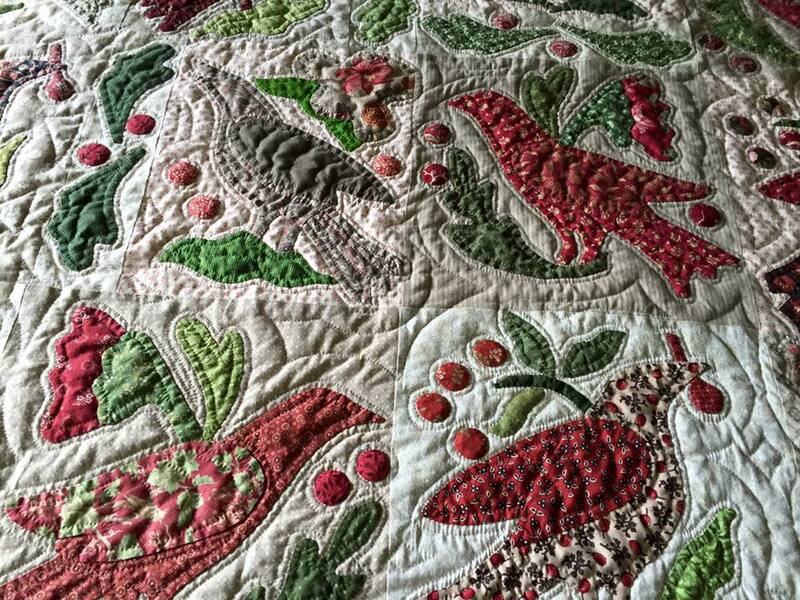 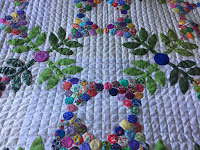 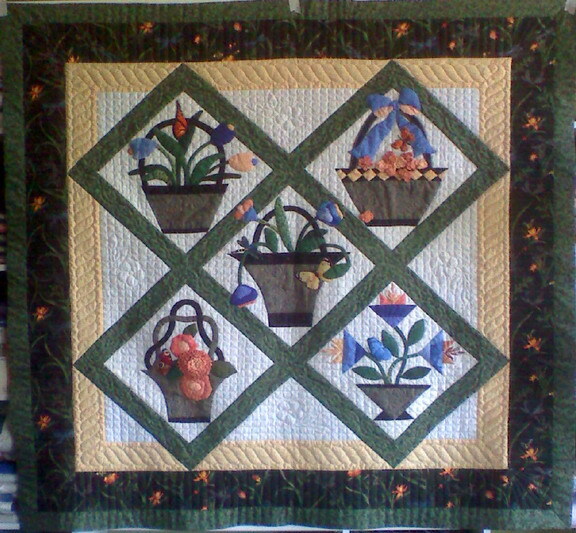 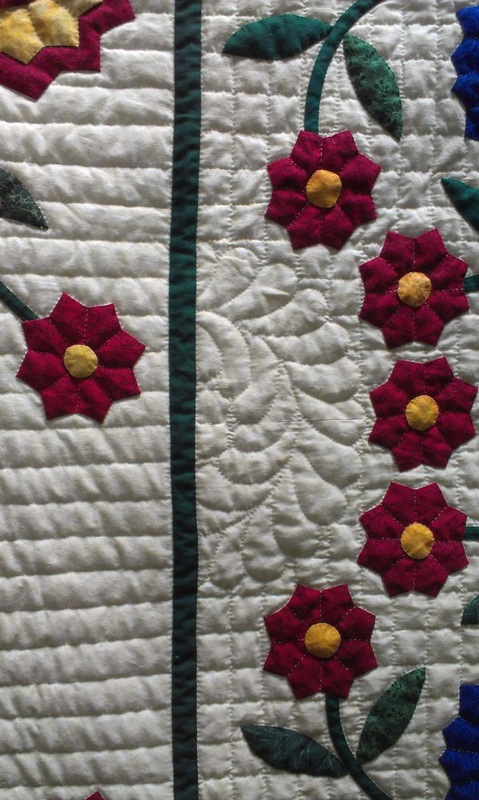 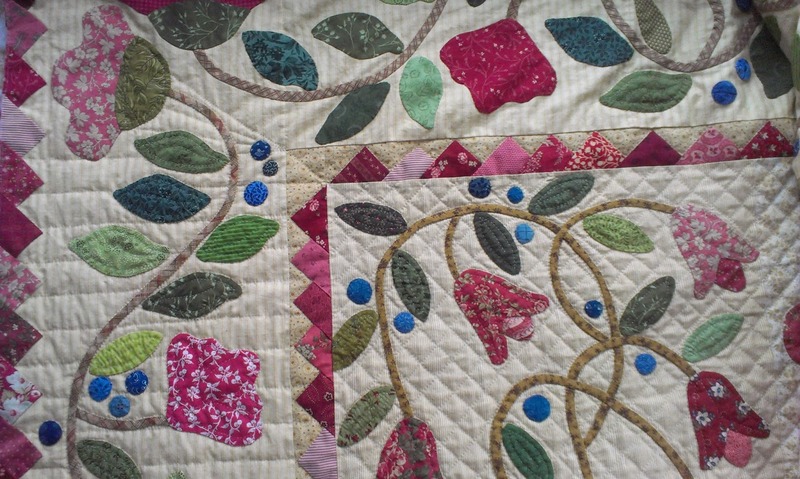 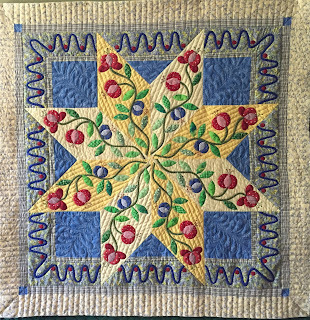 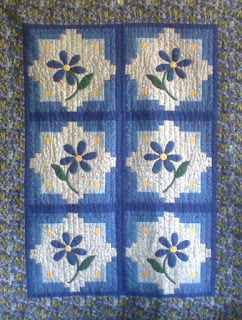 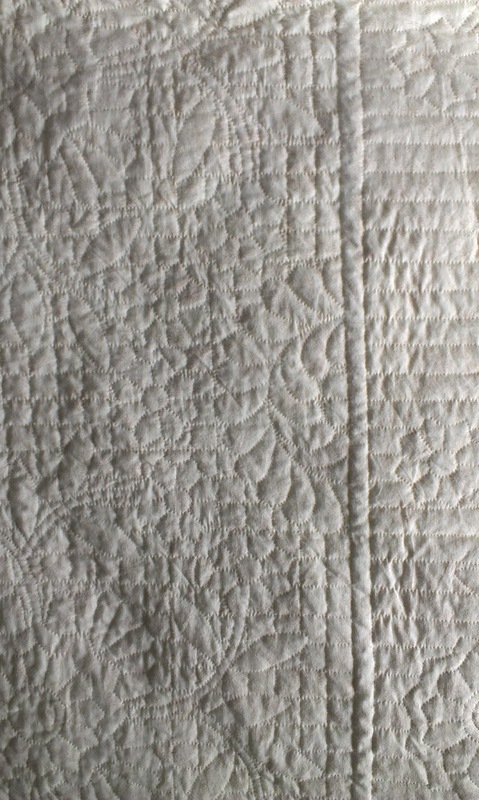 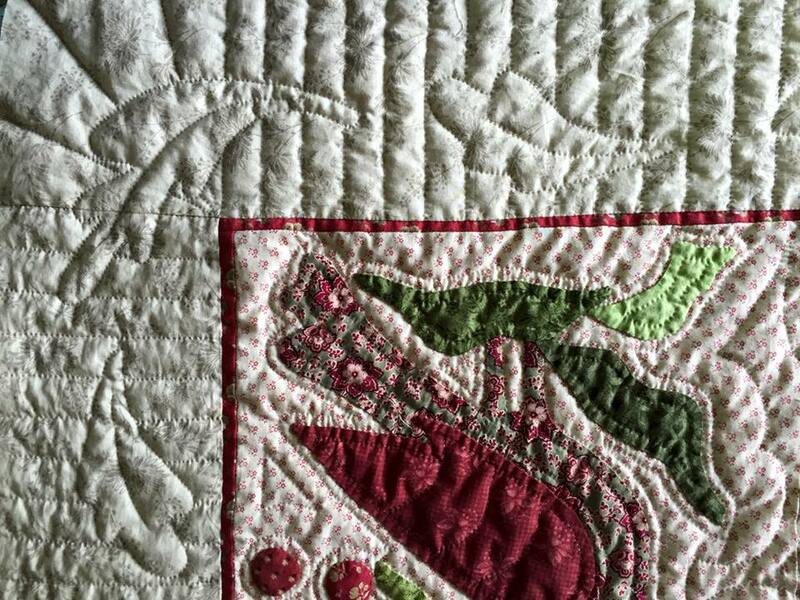 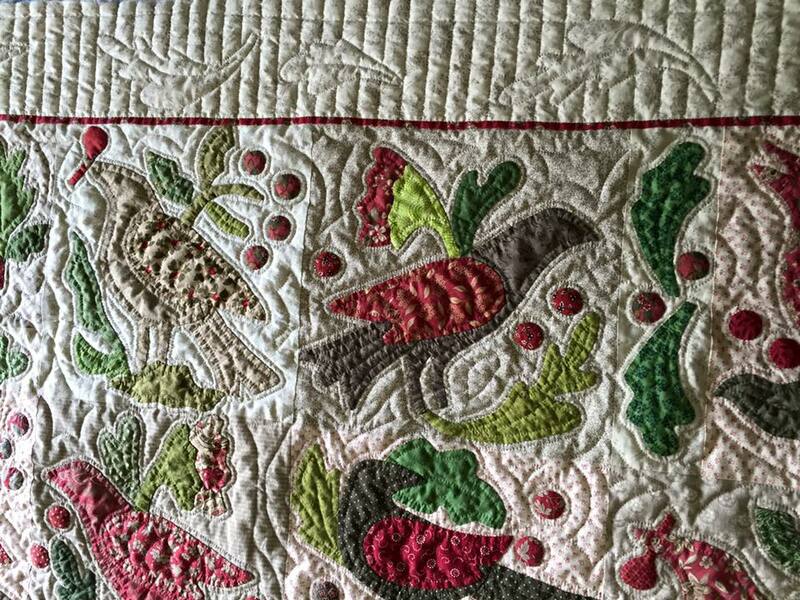 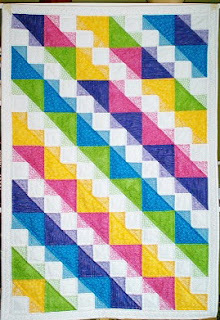 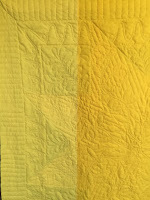 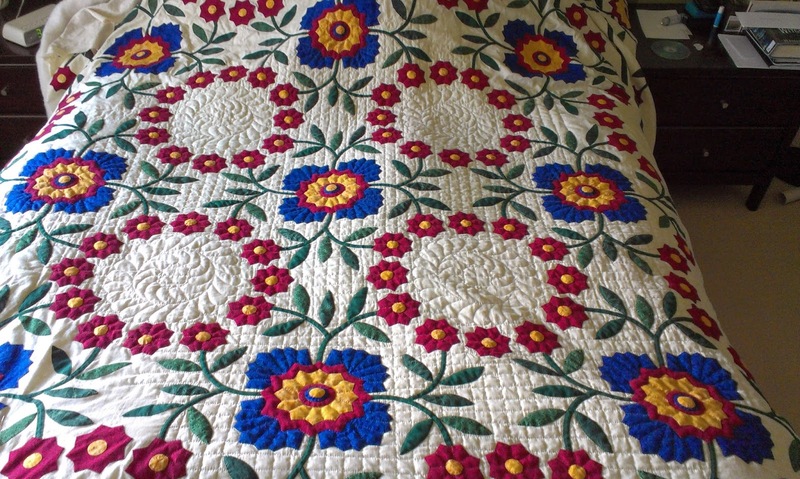 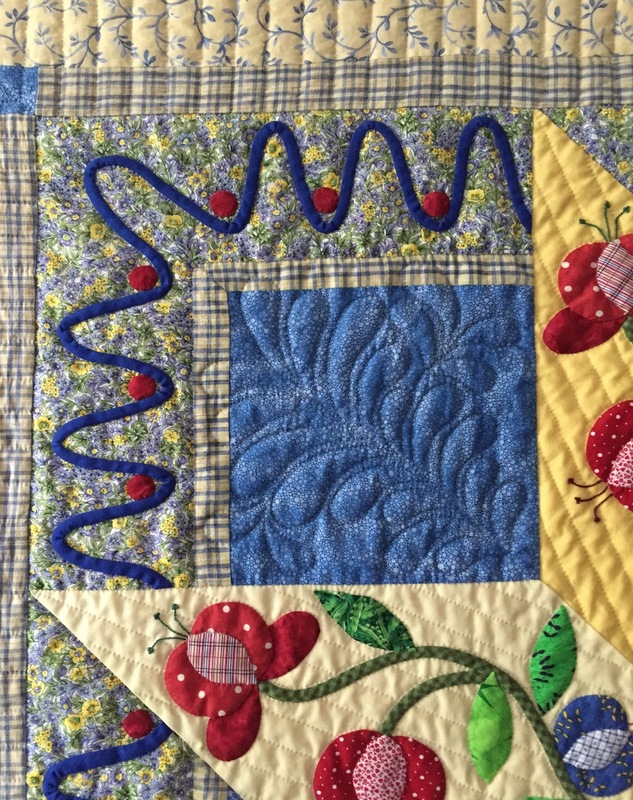 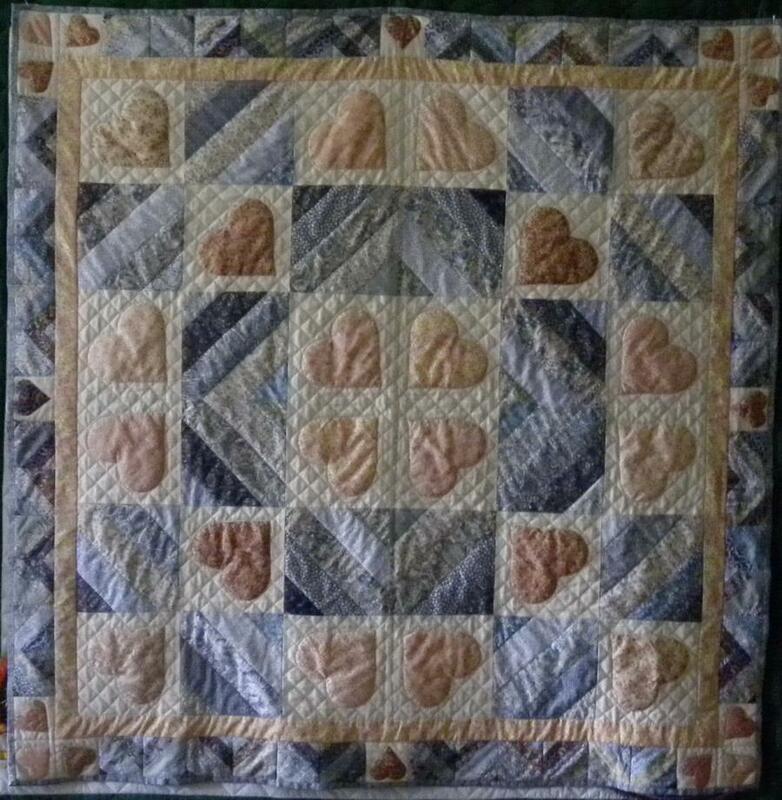 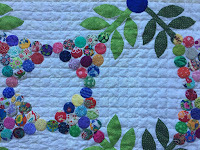 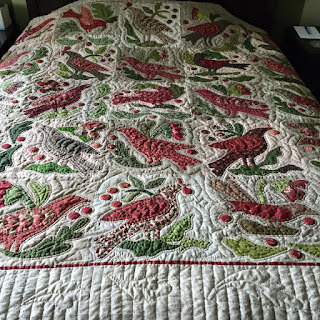 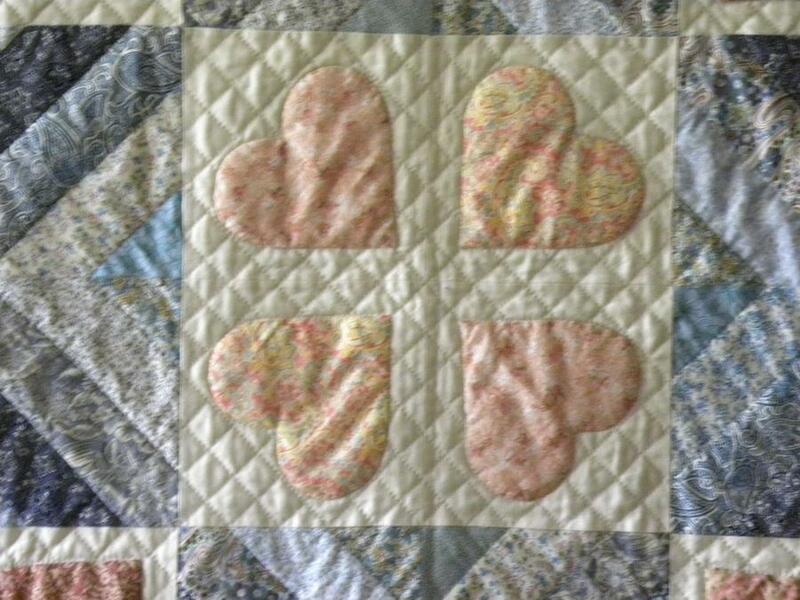 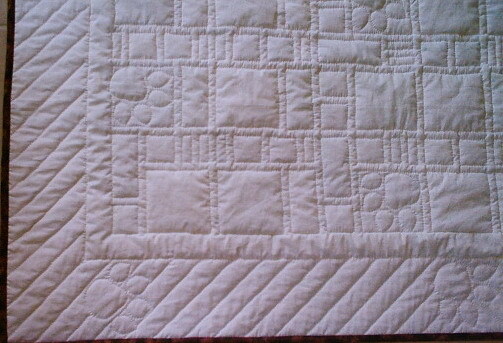 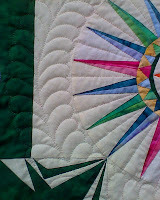 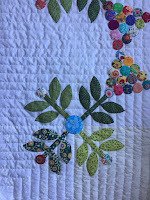 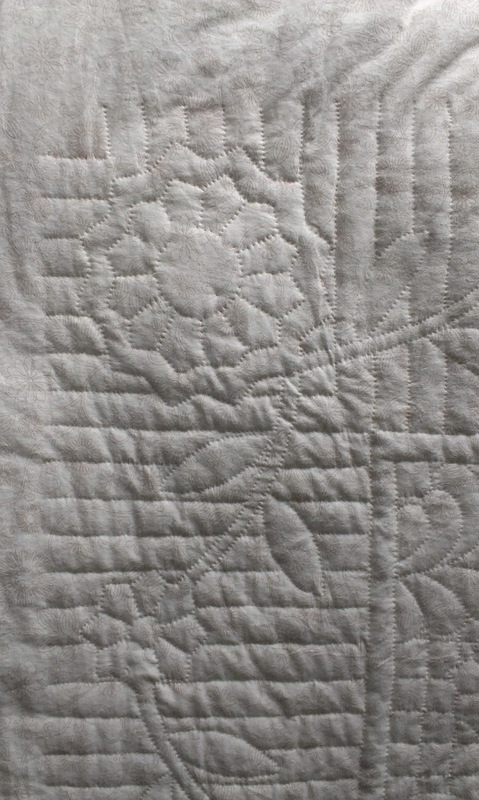 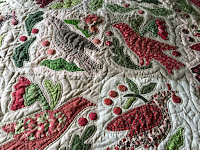 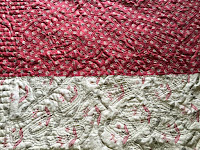 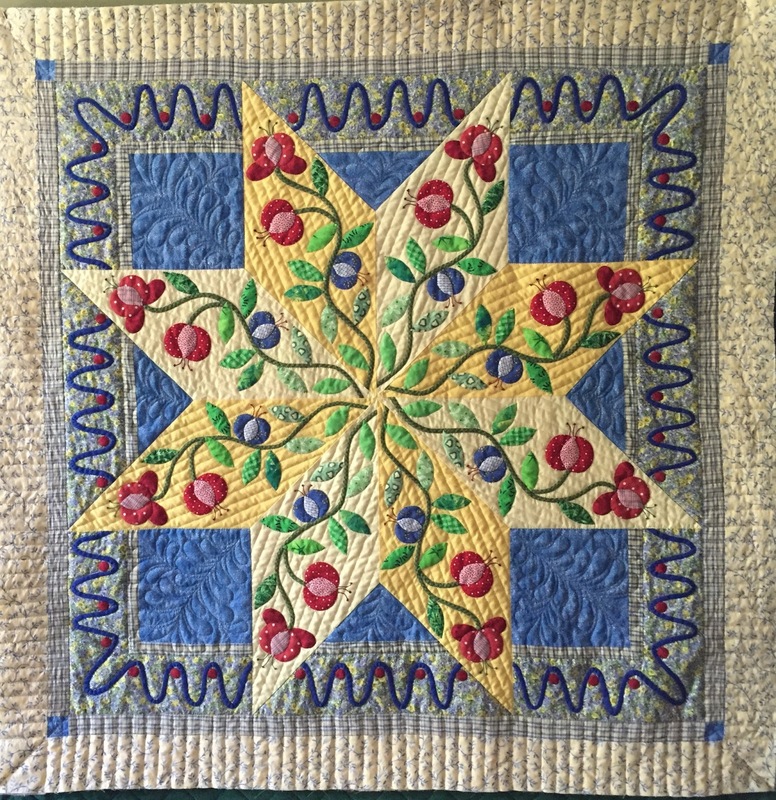 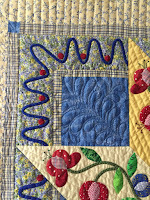 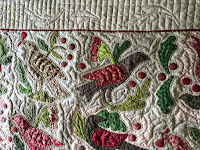 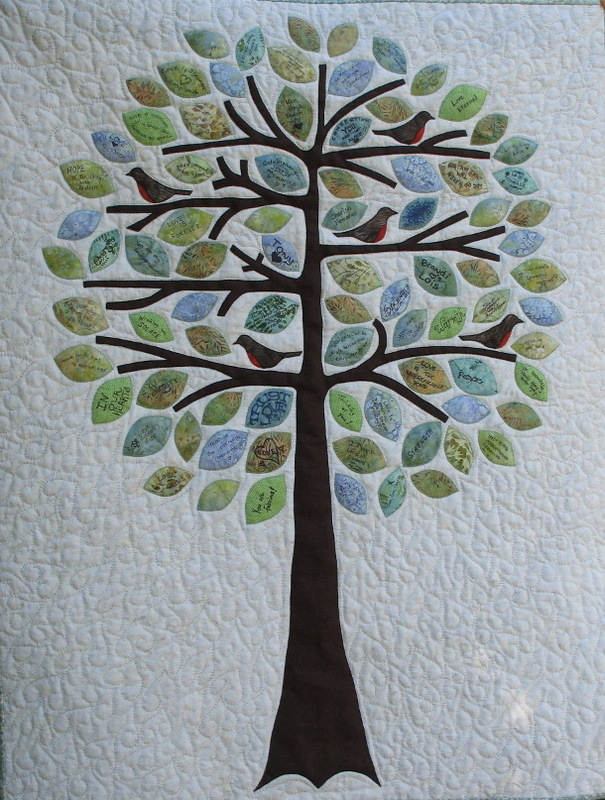 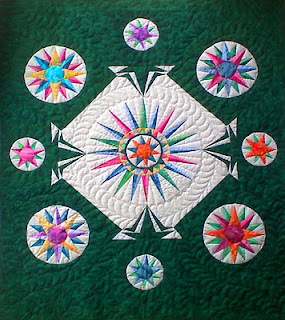 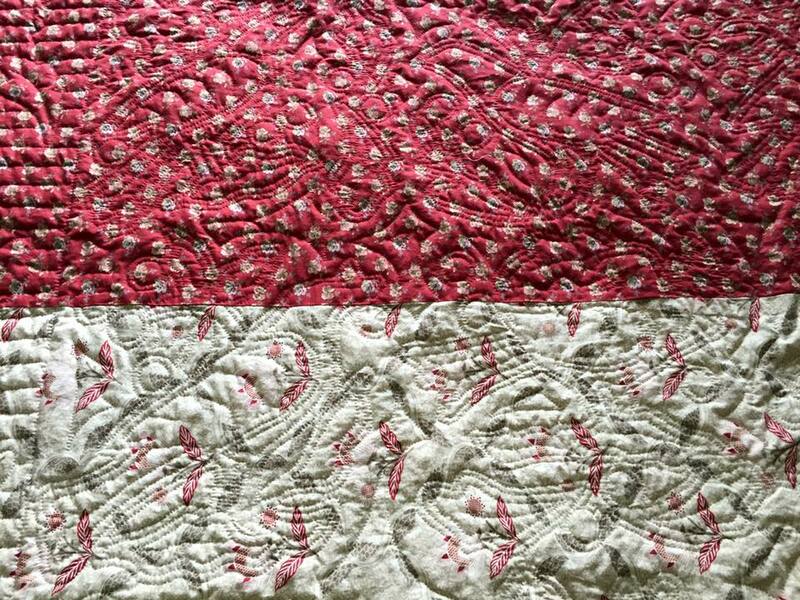 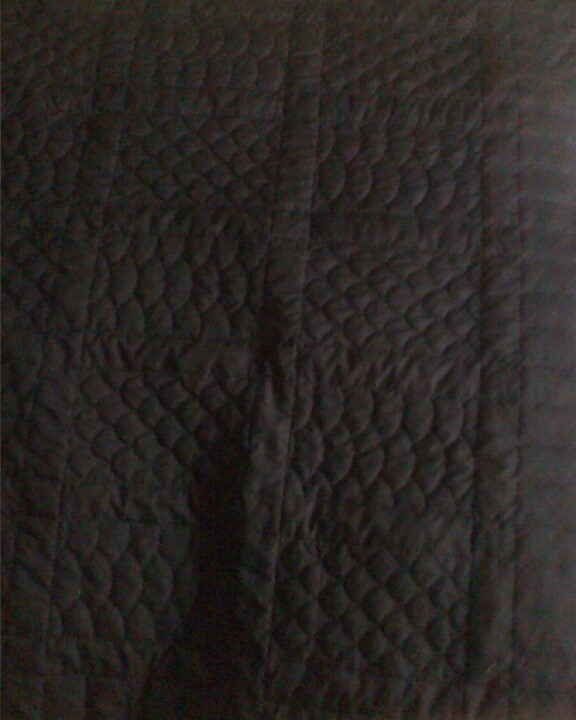 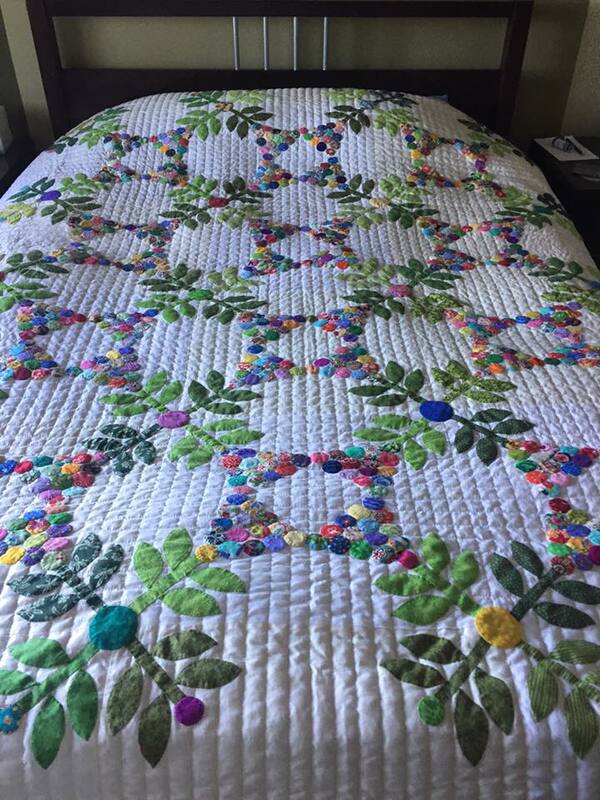 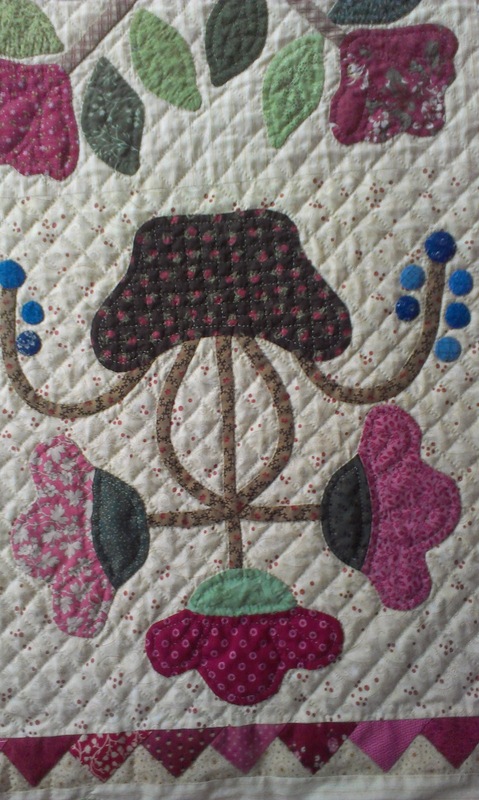 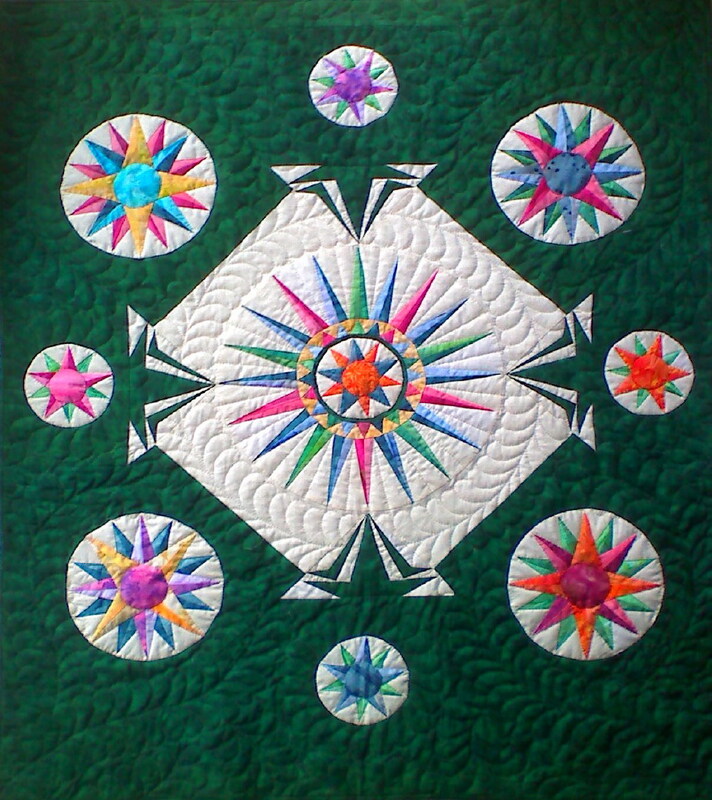 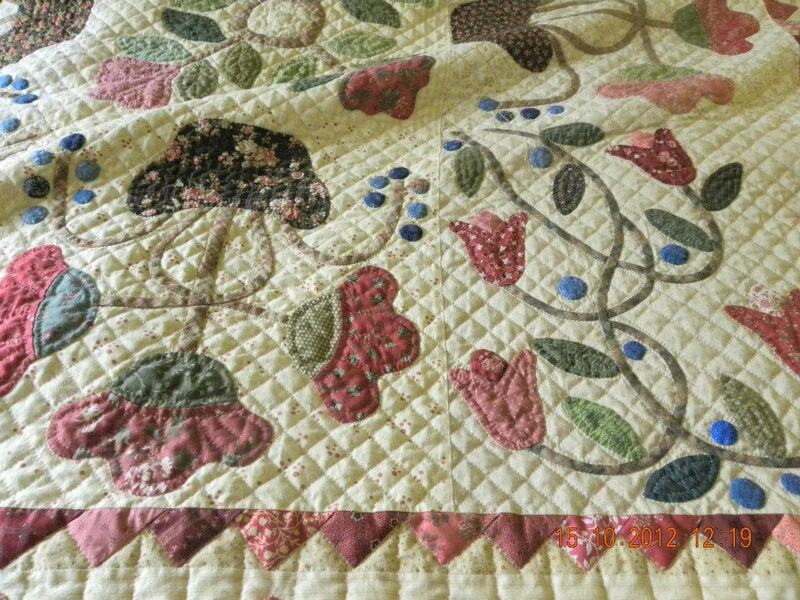 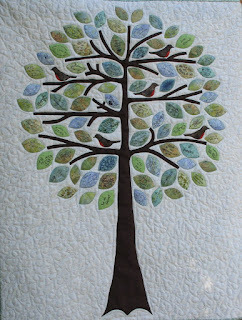 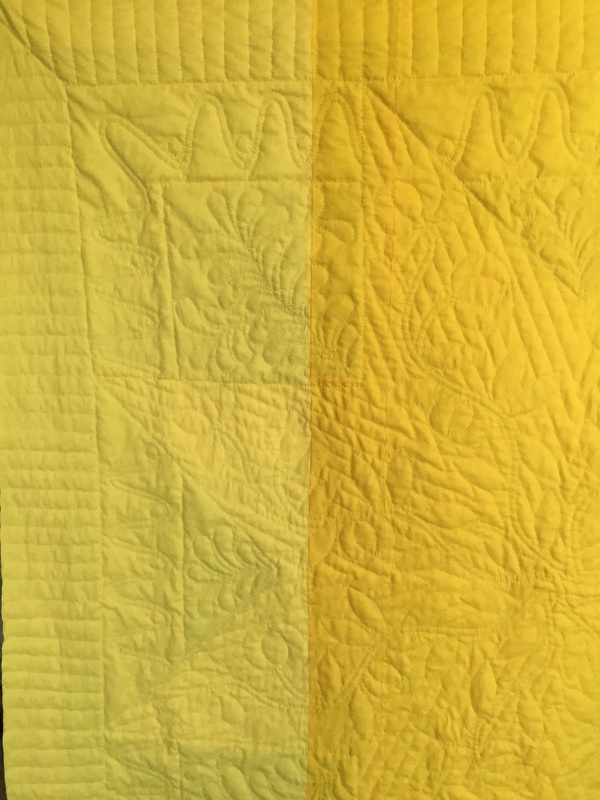 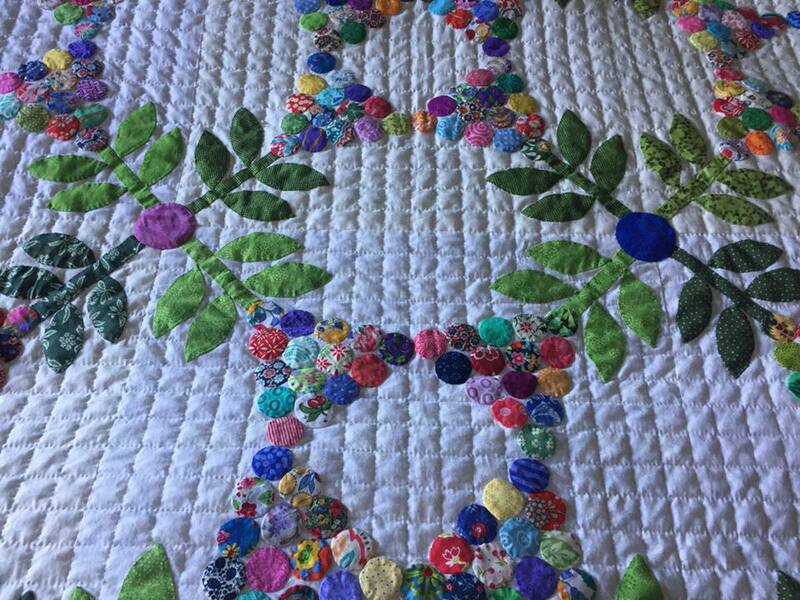 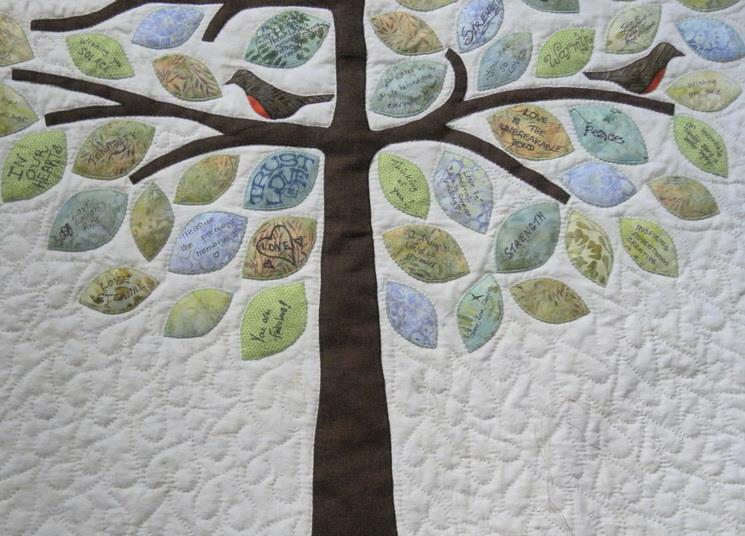 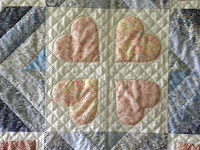 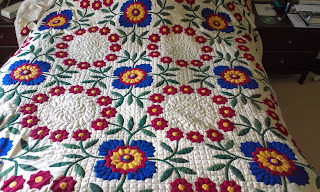 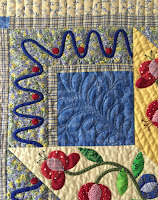 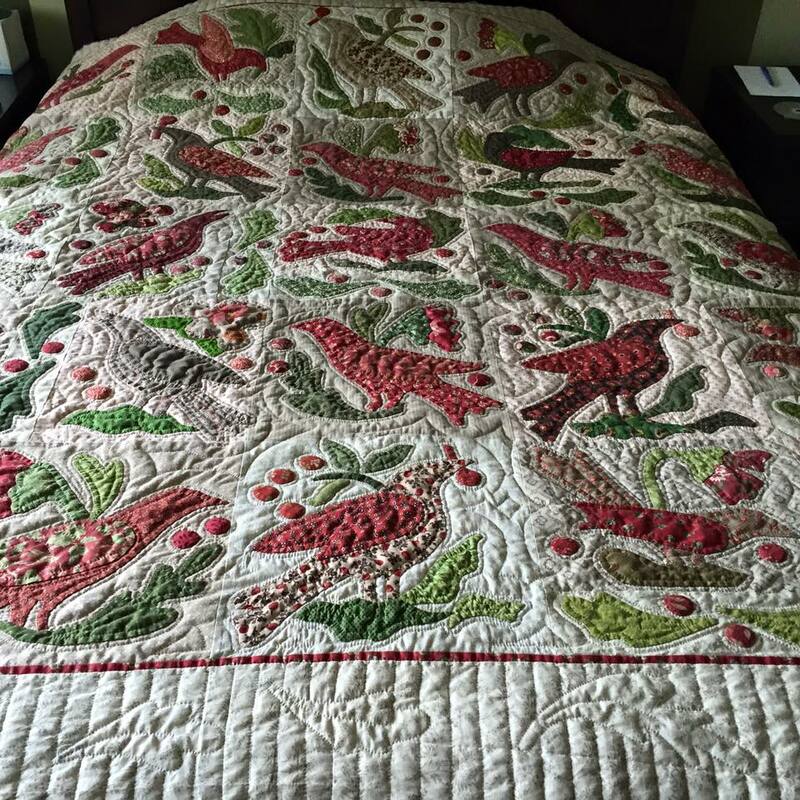 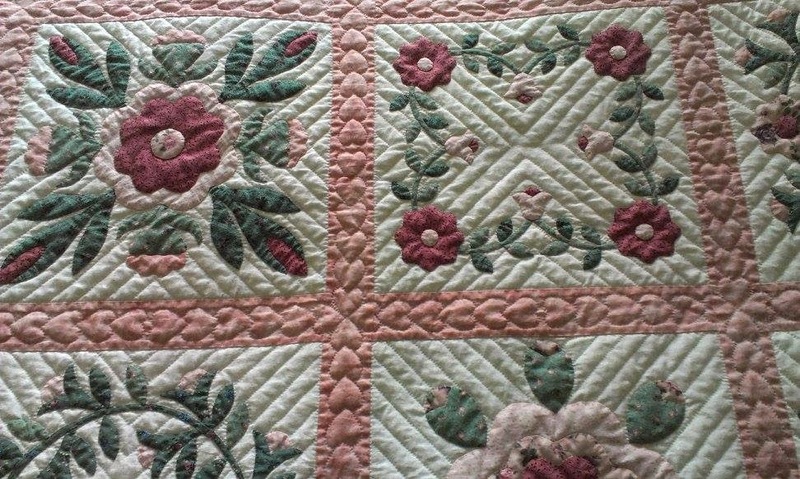 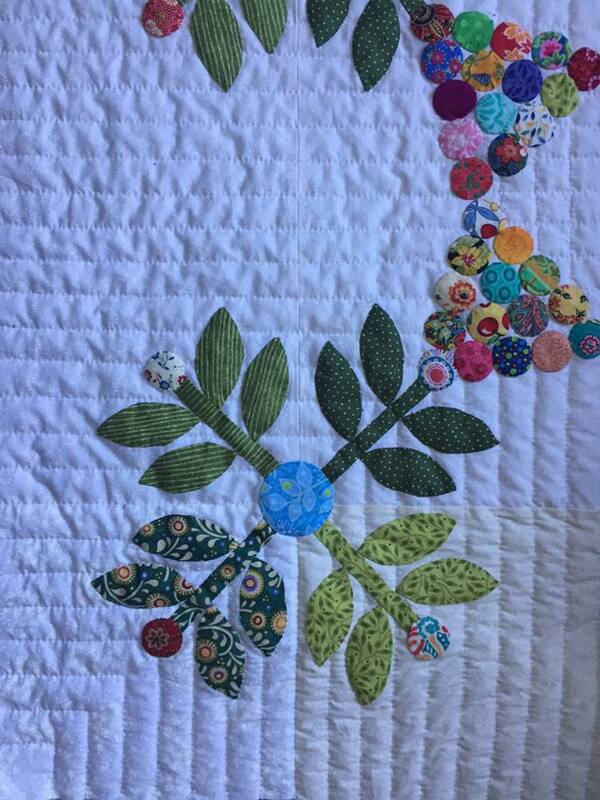 If you want to hire me to hand quilt your project, please check out Custom Quilting for more information or email me. 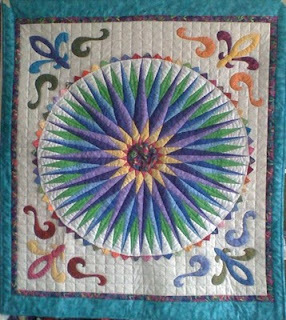 These 2 wall-hangings and matching table-runners were custom ordered for a couple retiring in the Cayman Islands who wanted something to reflect the Caribbean area and colours.